Riberao Preto, BRAZIL – From our southerly American neighbor Brazil comes news at the forefront of their political landscape. President-elect Jair Bolsonaro, on the tail of a victorious Trump-like campaign, remains infatuated with what he insists the schoolchildren of Brazil were poised to fall victim to: the Gay Kit. 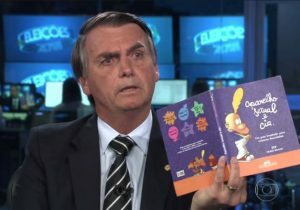 According to Bolsonaro, his political opponent Fernando Haddad tried implementing some over-the-top school curriculum during his time in congress. 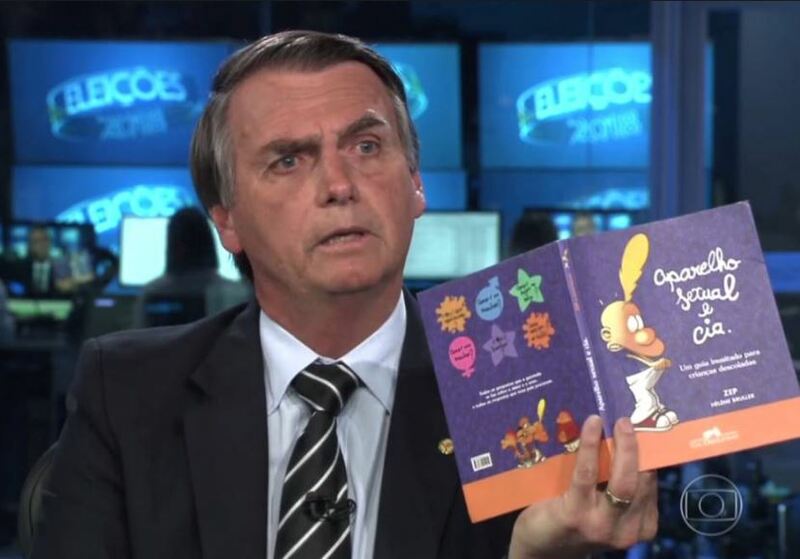 The children’s book Aparelho Sexual e Cia, Um Guia Inusitado Para Crianças Descoladas which roughly translates to Sexual Apparatus and Stuff, An Unusual Guide for School Children, had been Bolsonaro’s prime focus for months during the campaign. 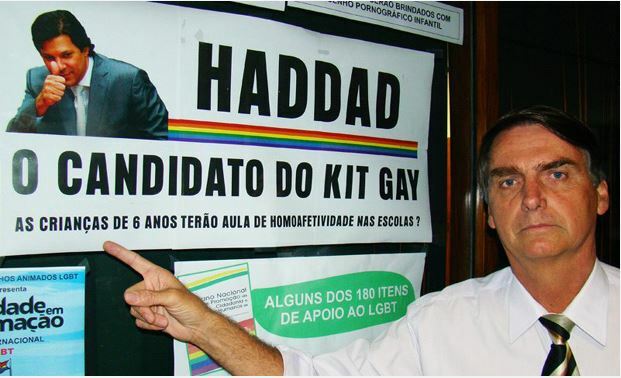 This, among a plethora of other books and props, comprised what Bolsonaro labeled the “gay kit”. 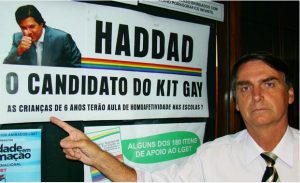 He claims that this “gay kit” would have been used to teach kids homosexuality seven years ago if congressman Haddad had his way. Now, even after using it to demoralize his opponent which ultimately led to his winning the election, Bolsonaro cannot stop talking about it. Having a little fun with the Gay Kit. The finger through the hole becomes a pee-pee.